Gravity Badgers is a physics-based puzzle game. It was originally developed for smartphones in 2012 by Wales Interactive who, as you can tell by their name and the Welsh Dragon on their logo, are obviously from New Jersey. A bog-standard PC port was created in 2013, which is what I played for this review. Unfortunately, neither the port nor the original game live up to the majesty of a name like Gravity Badgers. As is standard procedure for smartphone puzzle games, there is barely any story here. Our protagonist Bayback is the newest member of the Gravity Badgers, a group of mustelid space explorers. Unfortunately, the rest of the Gravity Badgers are kidnapped by the Hellsett, an army of evil honey badgers, and Bayback must save his friends, and the universe, from the Hellsett's evil schemes. That's pretty much it. There are some extra vignettes at the start of each chapter with small bits of world-building, but they serve mostly as parodies of other sci-fi properties. Gravity Badgers' graphics are generally dull, even by the standards of the vaccuum of space. While the vignettes I mentioned earlier are well done, there is little of that personality or detail elsewhere in the game. The starscape backgrounds are mostly static, the badgers have barely noticeable idle animations, and aside from different sprites, the rest of the Gravity Badgers crew have no distinct features when they become playable characters. The end goal is well animated and draws the eye, but the other planets are confusingly designed, with pulsating rings meant to demonstrate gravitational pull that perplex rather than inform, especially when multiple planets are grouped together. This version of the game is also a barebones port from smartphones to the PC. Very little additional functionality has been added, aside from the ability to press Escape to pause the game. When the game launches, players see the bare-minimum graphics adjuster that comes standard with the Unity engine, and control changes can only be made on the Input tab in said launch window, not in-game. Even worse, the game's droning, repetitive music absolutely dwarfs the sound effects, and there is no way to adjust the in-game volume or use individual audio sliders. I ended up playing most of the game with my headphones off, listening to podcasts on my phone, because the volume inbalance was so bad. So it seems that in Gravity Badgers, gameplay takes priority over story or graphics — or at least it should. In theory, Gravity Badgers' gameplay sounds interesting. 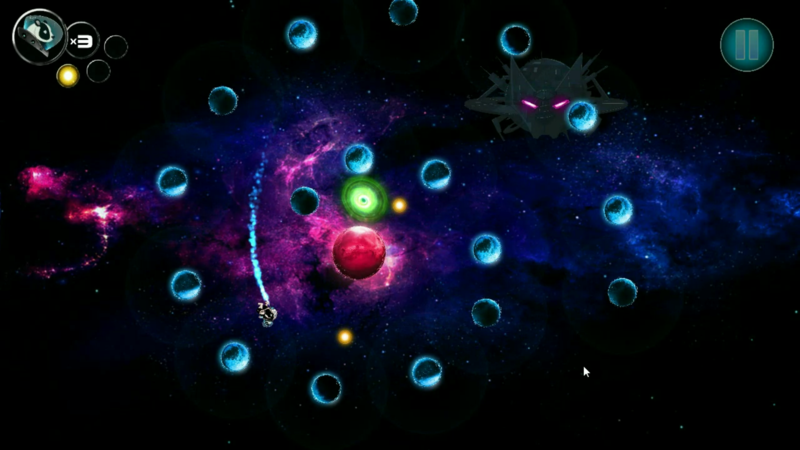 The player propels their badger of choice through space to the end goal. 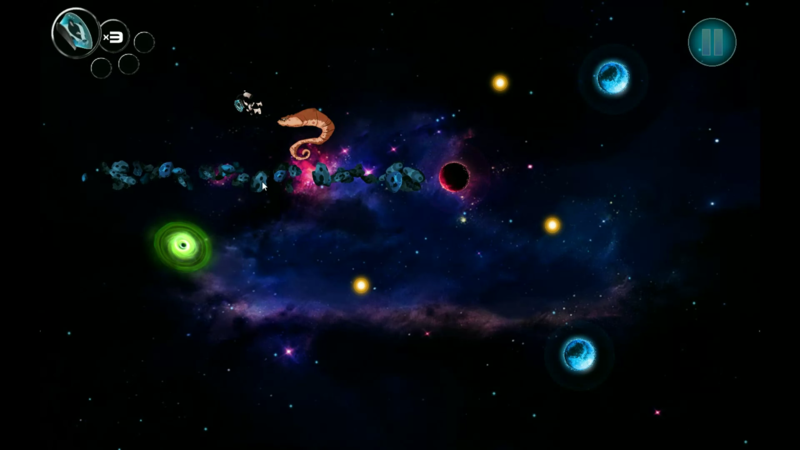 The player's badger always moves in a straight line unless it comes within the gravitational field of a nearby planet; blue planets push the badger away, while red planets draw the badger towards them. 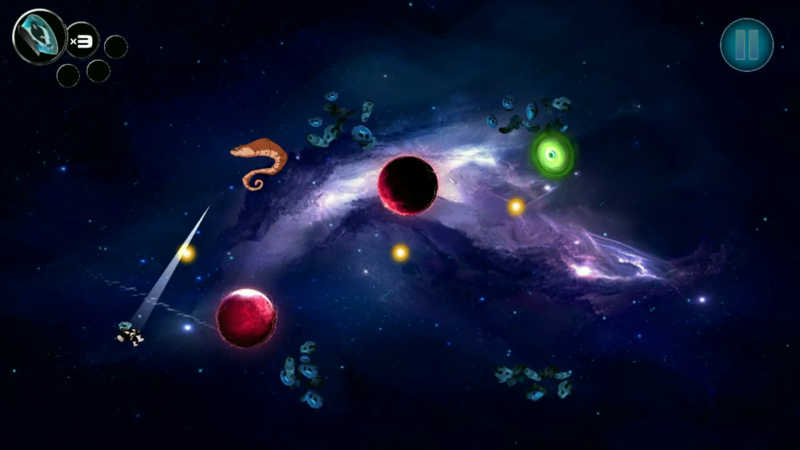 Players must use the gravitational pull of these planets to curve their badger's trajectory and reach the goal, while optionally collecting three yellow orbs for achievements and bonus content. Other mechanics include pipes that change the badger's direction, instant-kill hazards, gates unlocked by passing through a laser, teleporters, and a cube that allows the player to change their badger's trajectory by clicking the mouse. So far, I have described what sounds like a fairly decent time-wasting puzzle game. While there are a small handful of decent levels, overall the unintuitive level design and poor telegraphing of gravity changes kill the fun pretty quickly. Players are meant to eyeball the strength of a planet's gravitational pull based on its size. More often than not, however, I found myself randomly flinging my badger in different directions out of sheer impatience since there's so little punishment for failure. 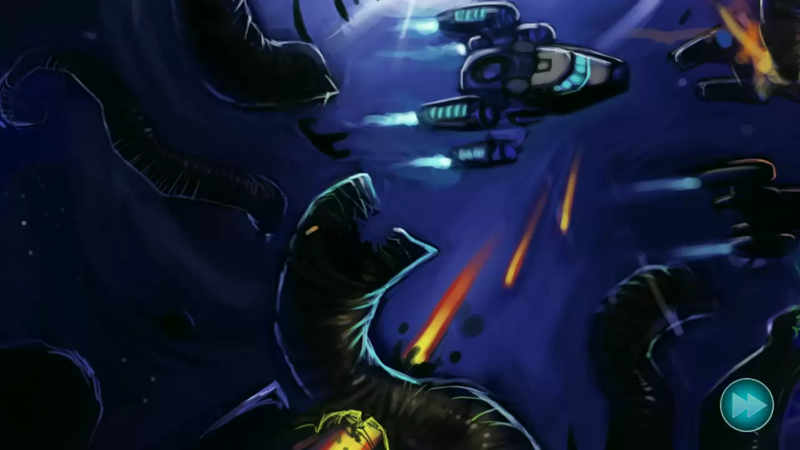 The game also has a habit of poorly demonstrating new concepts, such as Level 26, which introduces the first proper enemy of the game by shoving it right in your badger's face and hoping the player has enough sense to curve their shot around this strange-looking creature with very little room for error. There are also numerous glitchy moments, such as a very small window for entering pipes, the badger dying while inside the trajectory cube, the badger dying while still lining up their shot, and other weirdness when multiple planets' gravity spheres overlap. Worst of all are the boss fights, which are simultaneously boring and hectic. The player's badger automatically fires at the boss while the player jumps from cube to cube, and will likely be so focused on this one task that they barely notice there was even a boss to begin with. The only one worth mentioning is a tough and genuinely fun boss at the end of Episode 4, which has multiple phases and forces the player to compensate their cube's trajectory against an autoscroller, and the final boss, which is just a more difficult rehash of the Episode 4 boss. Gravity Badgers is not the worst game I've ever played, but it is a bad port of a mediocre smartphone puzzle game. In the end, a few interesting gravity gimmicks can't save Gravity Badgers from poor level design and a lifeless presentation.